Did you forget to set your alarm? Don't worry, with our apps you can set & unset your alarm in an instant, anytime, anywhere. 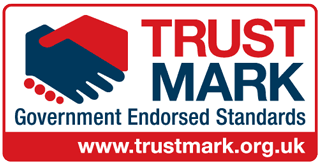 Call us today on 0800 6523199 or fill out our online form and book a free site survey. 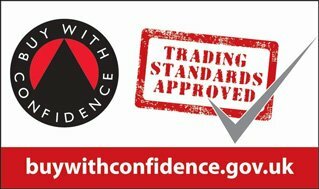 Bans Intruder & Fire Systems Ltd is an independently run company, established in 2003 supplying and installing security systems with after-care services for many clients throughout London and the south of England. 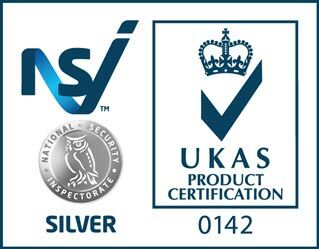 We have grown to become a well-respected NSI Silver Approved alarm installer in the Oxford, Berks and Bucks area. We can provide peace of mind for a variety of residential and commercial clients. Because each individual's security concerns are different, we’ll design our services to be flexible and custom built to suit your requirements giving you the reassurance that your home or business is protected. We will advise you on the best protection to suit your budget. Security systems are usually broken down into four main disciplines: Intruder Alarms, Fire Alarms, CCTV systems and Access Control systems. Any combination of these can often be fully integrated. 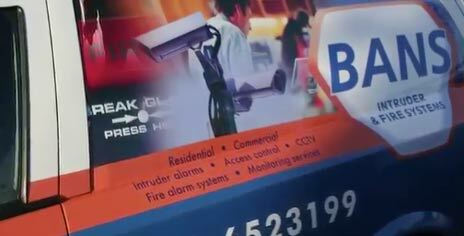 A range of CCTV Cameras, monitors and Digital Recorders fully installed, with remote access on your mobile phone. Fire Life Protection Systems, including both alarms, call points, sirens and fire extinguishers. Control access to your business with swipe cards, proximity readers, magnetic locks, intercoms and video entry phones. Deter the would be thief with a high security intruder alarm installed to comply with European regulations. Be the first to know of any activations of your alarm system, or have the reassuarance that a loved one has arrived home safely. 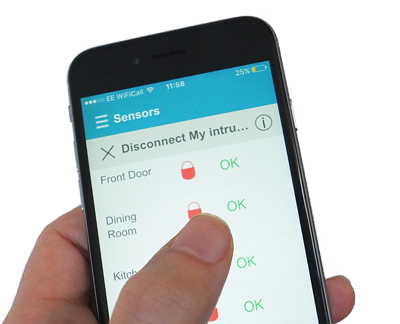 Reduce false alarms and set/unset your system with just a 'ping' of your tag. Full warranty on parts and labour. "We had already contacted two other Oxford Security companies prior to using Bans Intruder and Fire Systems. The reason we chose Bans was that Harbans was down to earth and did not want to charge us for wiring that was already in place to make our alarm workable again. Value for money and efficient and friendly." "We have used Bans security for our showroom and vehicle workshop and on both occasions the service was second to none. Bans high level of customer support and personal service could not be achieved by larger companies. We would recommend Bans to anyone." "Bans originally installed our intruder alarm under a new build contract. The care, attention to detail and professionalism show by Bans during the installation gave us no hesitation in appointing them to maintain our fire alarm system as well." In a new scam, burglars are scouting for potential easy targets of break-ins during the day, and marking them by sticking a fake Locksmith's calling card on the property. Other thieves working in the area then know that the property is either left empty during the day or has doors and windows unlocked for easy access. Police have said that at least one burglary has been definitely linked to such a sticker. Advice is that if you find a sticker attached to your property, remove it immediately. A Maidenhead man was given a two year custodial sentence, suspended for two years, for a string of burglary offences at Reading Crown Court. Timothy Clarke, of Norfolk Road Maidenhead, was convicted after pleading guilty to theft in a dwelling, fraud by false representation and attempted burglary dwelling. The previous year Clarke used keys stolen from a letter box in the foyer of flats in Maidenhead to steal clothing, cash and bank cards. The cards were then used to withdraw and transfer cash from the victim's account. Mr Clarke later tried to re-enter the same property several days later, but was chased off by the occupant. We are happy to announce today that our CHAS membership has been renewed. 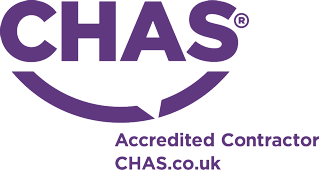 CHAS (The Contractors Health and Safety Assessment Scheme) was established as the market leader for health and safety pre-qualification in the UK. It is available to suppliers (those who provide goods and services) and to organisations (buyers) looking for suitably competent suppliers. As a successful CHAS registered company, we can supply our services to other alarm installing companies not only around Oxford and Reading, but also around the country.